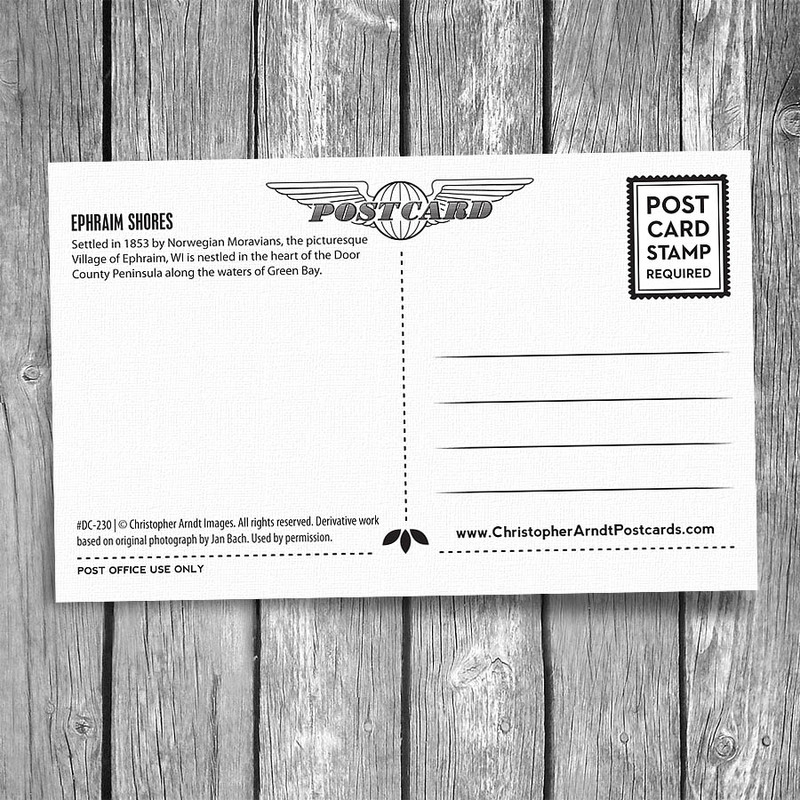 Door County Ephraim Autumn Shores Postcard | Christopher Arndt Postcard Co. 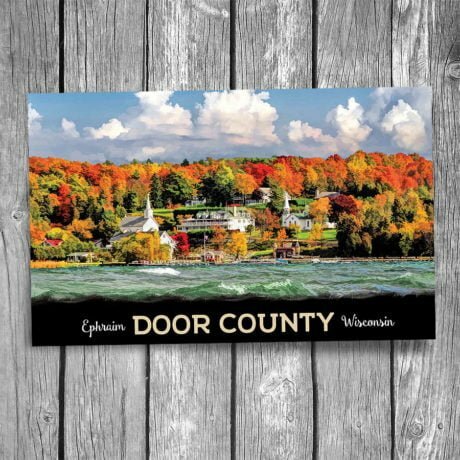 The picturesque Village of Ephraim, WI is nestled in the heart of the Door County Peninsula along the waters of Green Bay. Settled in 1853 by Norwegian Moravians, Ephraim has the most accessible shoreline#of all the Door County communities. © Christopher Arndt Images. All rights reserved. Derivative work based on an original photograph by Jan Bach. Used by permission.